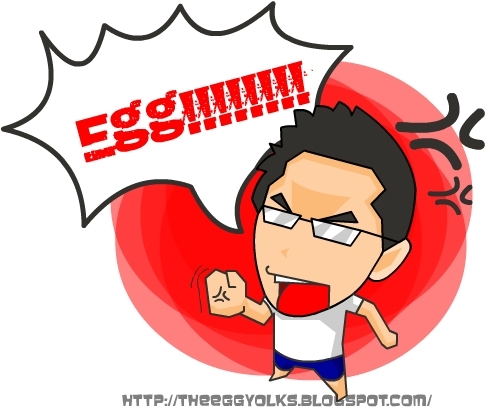 THEEGGYOLKS 蛋黃打点滴: EGG! You're gonna pay for this!! 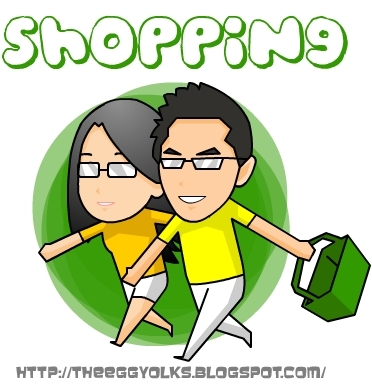 Few days ago, we went shopping for groceries. 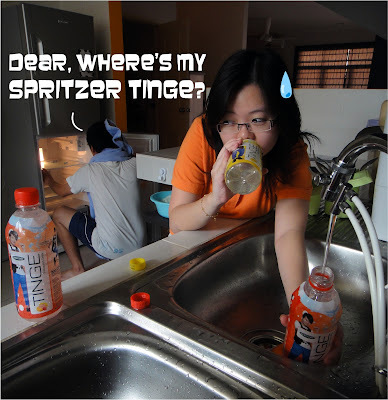 There was a promoter promoting Spritzer Tinge. With our “why waste if it’s free” mentality, we headed over and tried some. and so we bought few bottles back. The next day when I look for my Spritzer Tinge, they were all gone! 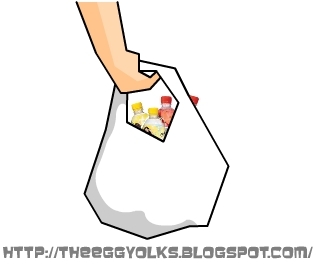 Yolk: Dear, where's my Spritzer Tinge? 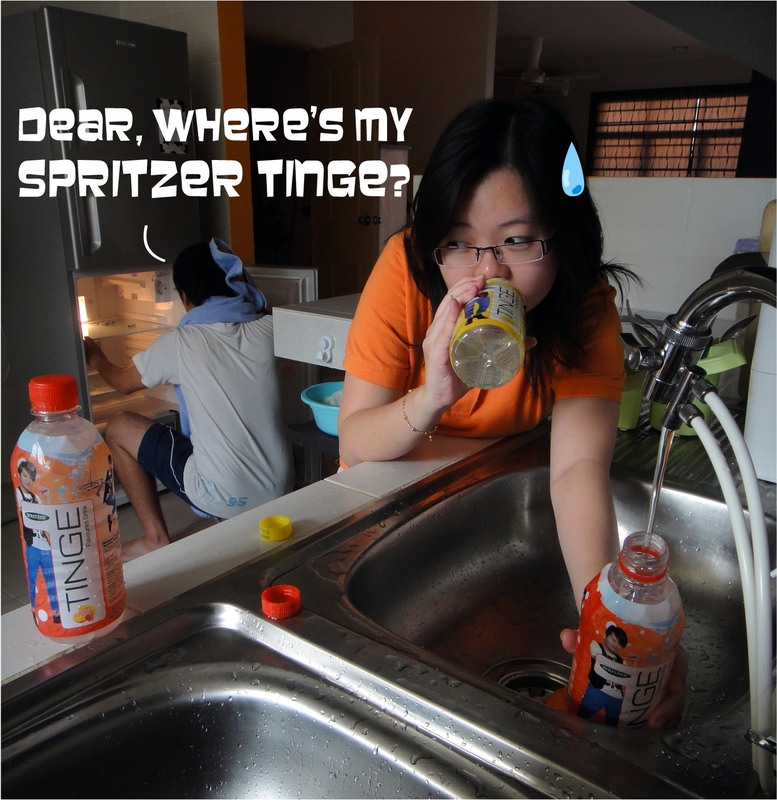 Egg drank all my Spritzer Tinge and refilled the bottles with pipe water -_-"
"A tantalizing drinks which might end up in someone else's tummy without your realisation! 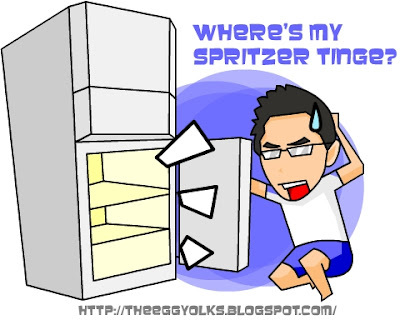 Spritzer Tinge, drink it while you have it." 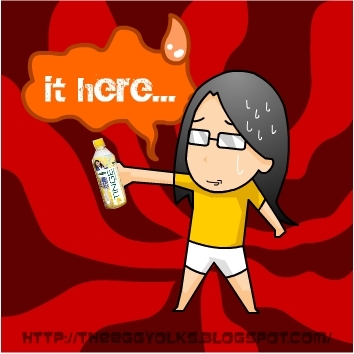 "stealing Tinge isn't a bad idea (for some), it's bcuz they can't get enough of 'em.."
* Guys! 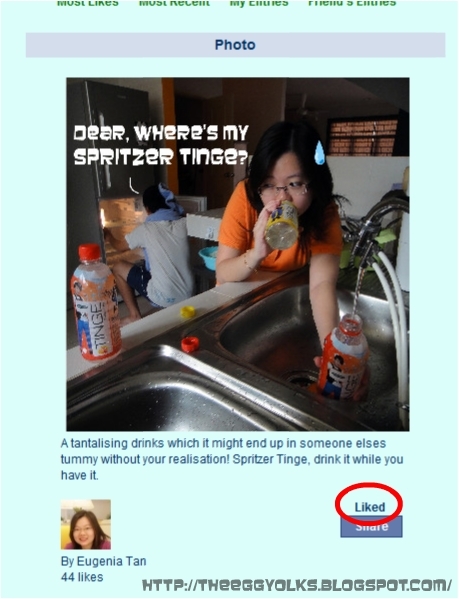 if you happened to on your facebook while reading this blog post, please help us to vote our entry for "Tinge in you" photo shoot contest organised by Spritzer Tinge.